Many of you know this is something I support and have been deeply involved with. We have waves of new vets coming back from overseas to a job market that is already pretty tight. However, we have near 150k new Tech jobs going wanting every year in the U.S. Across the board, the unemployment rate among veterans of Iraq and Afghanistan is staggering — nearly quadrupling over the last five years to nearly 15 percent, compared to the national average of 8 percent. Would make sense to connect up these new Vets with a little training to these jobs right? Well the launch is coming up! I really hope to see you there. And if you cannot come, at least pass the word! Here are a few words from the upcoming <draft> press release. The event is at the Adobe SF offices at 601 Townsend St from 6:00 to 9:00 July 31. The VetsinTech program will launch on July 31. Aiming to connect returning veterans with the technology community and provide support for Education, Entrepreneurship and Employment, VetsinTech is the first initiative of its kind. We are committed to giving back by bringing together a tech specific network, resources, and programs for our veterans interested in pursuing technology careers. The latest Bureau of Labor Statistics survey is a cold reminder of the difficulties faced by many of our returning soldiers. Jobless rates for the veterans of the Afghanistan and Iraq era are much higher than rates for the rest of the population–frighteningly so for our younger veterans (vets younger than 25 are registering at 30% unemployment). 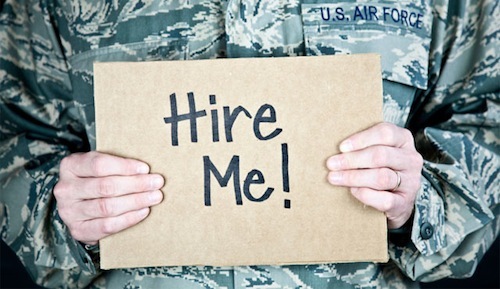 Nearly 1 million of our veterans are currently unemployed, but the tech industry is hiring like crazy right now. There eight thousand tech jobs open in San Francisco alone, and some tech companies are hiring in the thousands. Our mission is to bring these vets together with the tech community, fill some of those open jobs and start building relationships. The current generation of veterans has had more exposure to technology than any other. They have amazing leadership, problem solving skills and discipline, but they also have a great understanding of social media, mobile technologies and more. Many are poised to take on careers in the technology industry and we need to support them. VetsinTech itself is poised to provide veterans with opportunities and avenues of support, to help them address skills gaps and transition into tech careers–whether they choose to enter an existing tech company or follow a more entrepreneurial path and create their own start-up. “We are also very pleased to announce the addition of Craig Mulllaney to our advisory board” said Katherine Webster, founder of VetsinTech. Mr.Mullaney will give the keynote address at the ViT launch event on July 31st. “Today’s conflicts have produced veterans uniquely poised to lead teams under pressure and to find innovative solutions in complex, ambiguous environments” said Mullaney who serves as VP Operations and Strategy at Ustream.TV in San Francisco. VetsinTech supports our current and returning veterans with re-integration services, and by connecting them to the Bay Area technology ecosystem. ViT is committed to bringing together a tech-specific network, resources,and programs for our veterans interested in education, entrepreneurship, and employment.